Charlie Pitts’ Hudson coupe from the late 1950s. 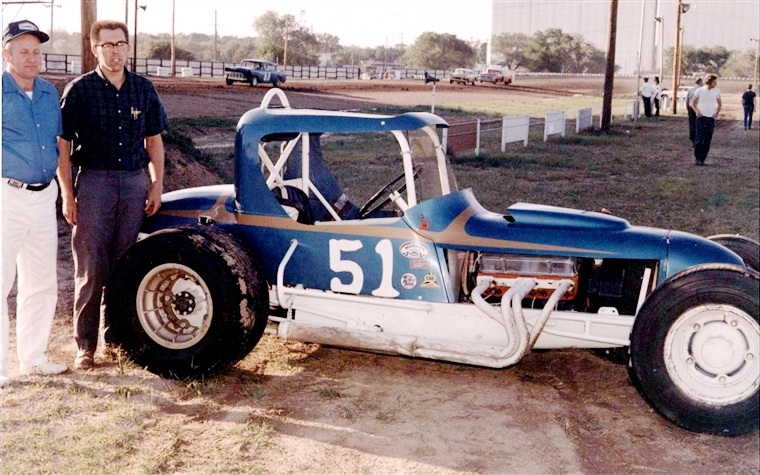 Click your mouse on the photo above to see a photo of Pitts standing beside the car. 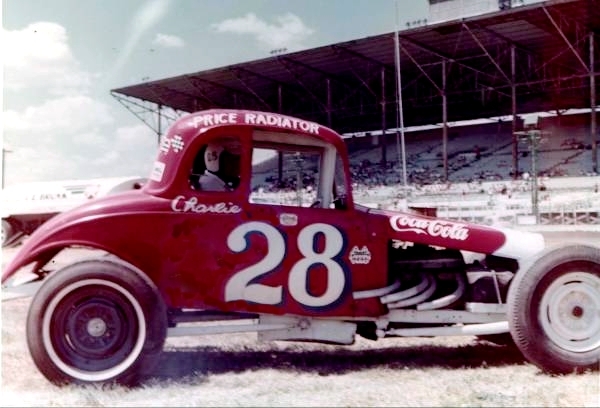 This is one of Charlie Pitts’ cars from the 1950s. 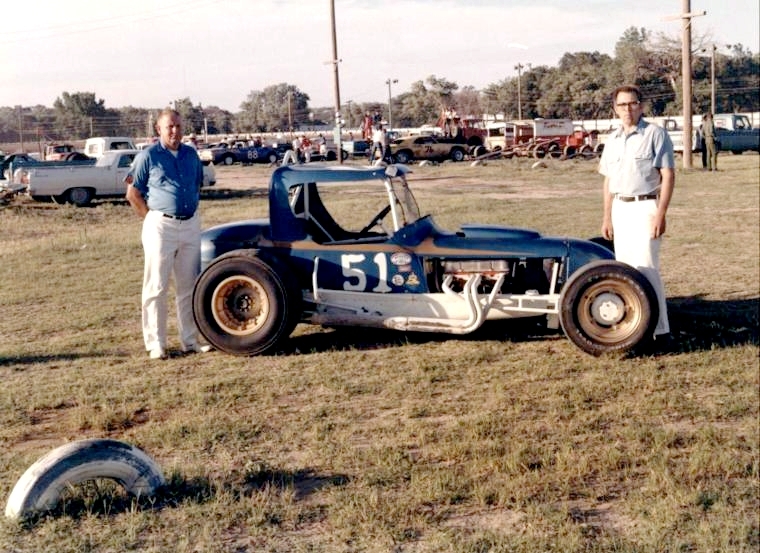 Charlie Pitts (center) drove this car for owner Pete Stewart. 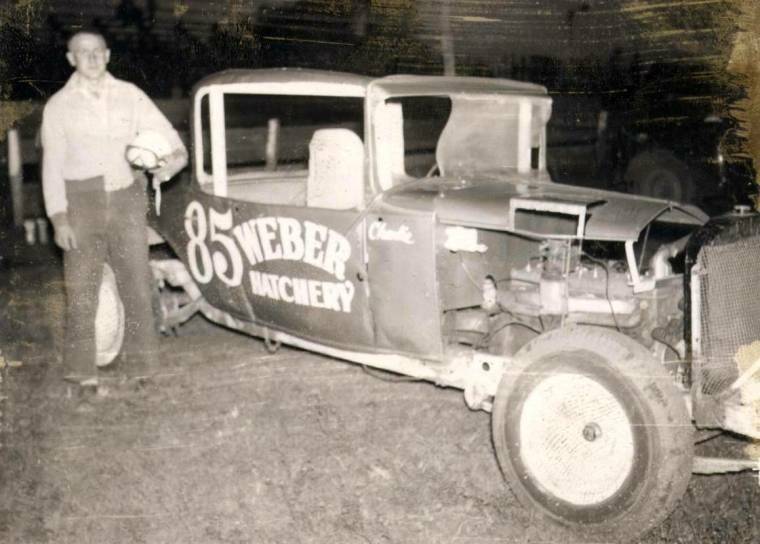 Note the car number has been altered from Stewart’s #58 to Pitts’ regular #85. 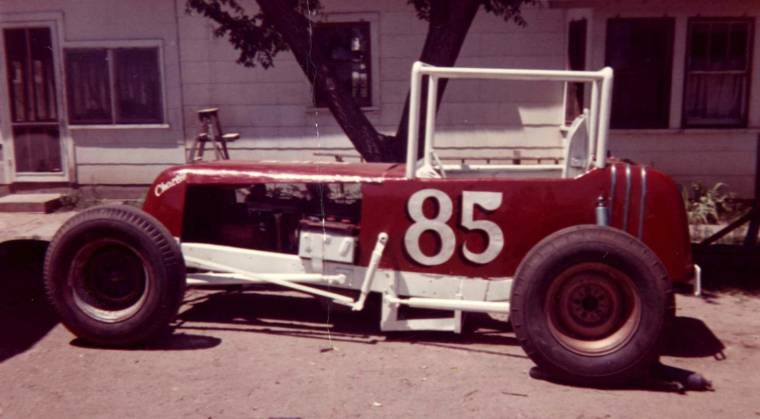 Charlie Pitts drove this “rail” in the early 1960s. Click your mouse on the photo above to a photo of the back of this car. 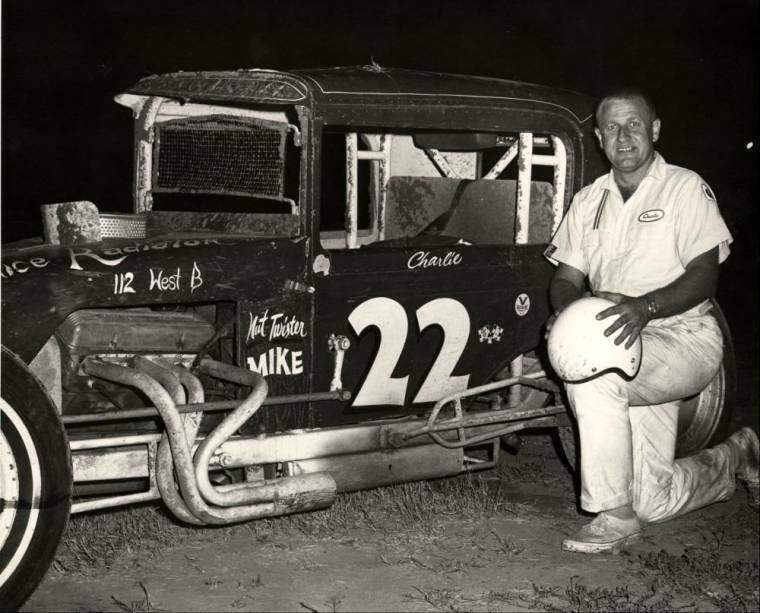 This photo of Charlie Pitts with another of his “rails” was taken in 1963 at “81” Speedway at Wichita, Kansas. 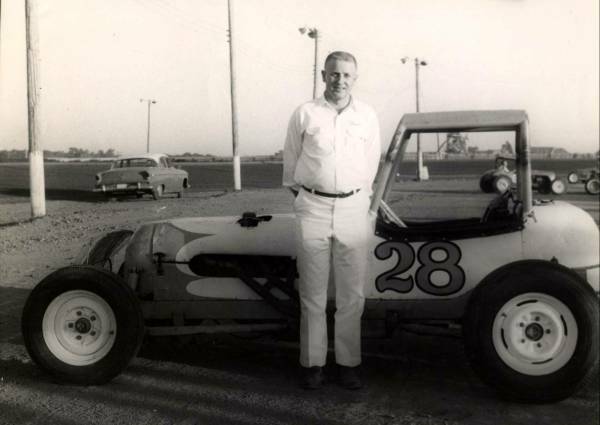 Charlie Pitts with a modified coupe in the early 1960s. Another photo of Charlie Pitts’ coupes. 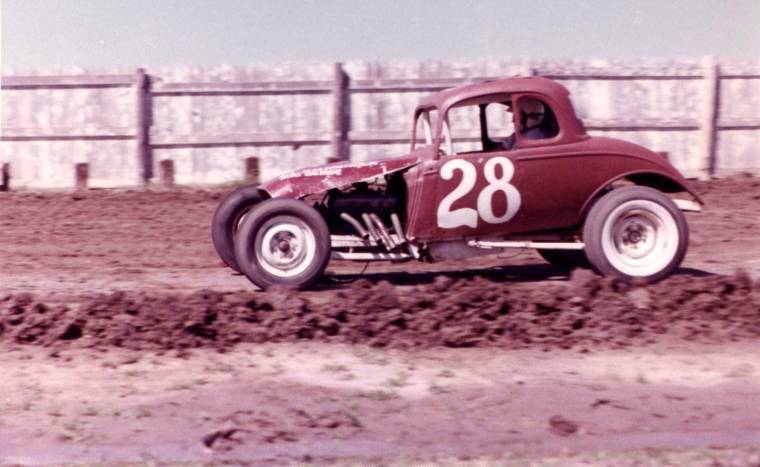 Charlie Pitts is shown here in still another of his coupes. Click your mouse on the photo above to see a photo of the other side of this car. Both photos were taken at the Kansas State Fairgrounds in Hutchinson, Kansas. 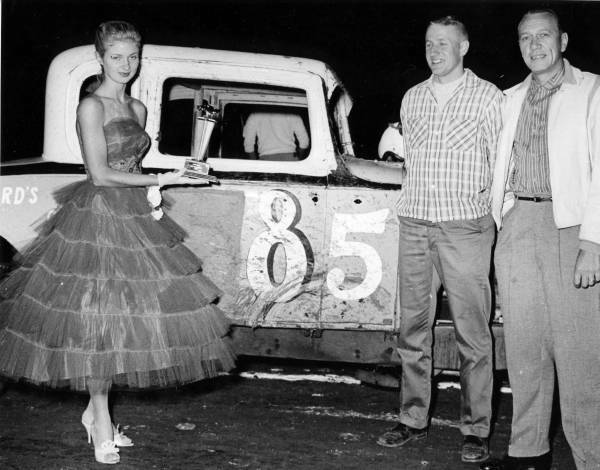 Charlie Pitts at left with car owner Wayne Davis of Cimarron, Kansas. 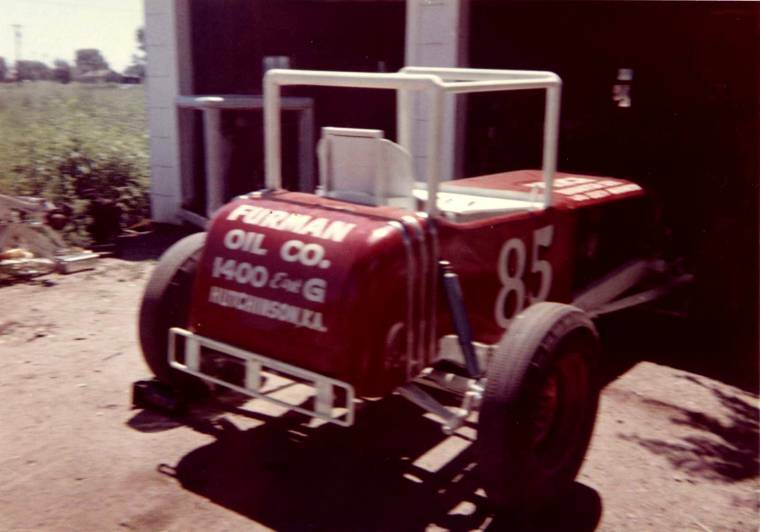 This photo was taken at Dodge City, Kansas where Pitts drove this car for Davis for a couple of years. 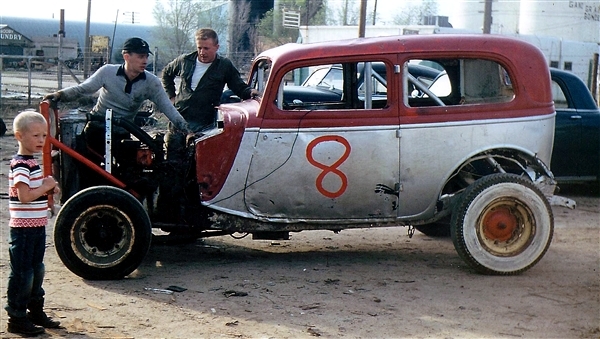 Click your mouse on the photo above to see another photo of Pitts and Davis with this car. 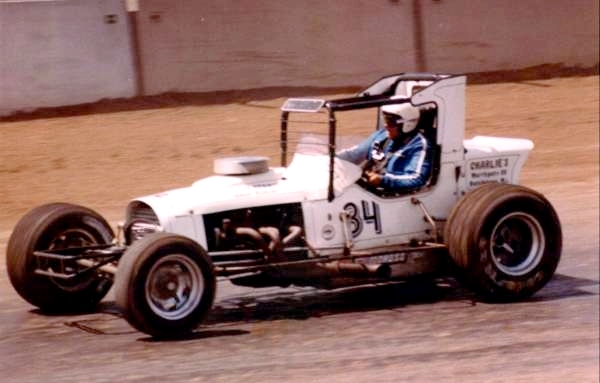 After having retired from driving about ten years earlier, Charlie Pitts came out of retirement long enough to drive this Otis Friesen owned supermodified in Hutchinson Nationals in the late 1970s.